SO-CALLED dirty protests have been taking place at Maghaberry Prison as recently as August this year, The Detail can reveal, but republicans are apparently not involved. A Freedom of Information request from The Detail, that was initially rejected by the Northern Ireland Prison Service (NIPS), shows that there was an average of three dirty protests a day at Northern Ireland’s largest prison throughout August 2013. However, a spokesperson for NIPS said the protests are not linked to republican demonstrations which were officially called off last November. A spokesman said: "It is not uncommon for a small number of prisoners at any given time to engage in some form of protest against the prison regime or how it might specifically relate to them. Weekly Situation Reports are published by NIPS on the Department of Justice’s website; however the public reports only contain limited information on population figures and drug finds. In an FoI request sent in late August, The Detail asked for full details of all Situation Reports distributed on a daily basis to senior personnel and management throughout the criminal justice system from 1st August 2013 to the 27th August 2013. The full reports contain detailed information on any incidents that occur in Northern Ireland’s prisons on a daily basis, such as inmate on inmate attacks, assaults on prison officers, self-harm incidents and the number of new SPAR booklets opened. Supporting Prisoner at Risk (SPAR) procedures were first introduced in prisons in Northern Ireland in December 2009. They are supposed to allow for a greater level of support over a period of time that is “flexible and based on individual need”. In their initial response NIPS declined our request for disclosure of the Situation Reports. It stated that any information relating to security measures in place within NIPS establishments could, if released into the public domain, “facilitate a security threat to NIPS”. The response outlined that even with names redacted, individuals would be easily identifiable within the context of a small unit such as prisoner residential accommodation. However after a request by The Detail to internally review the decision, officials decided that “limited disclosure” of the Situation Reports was appropriate. In its response, the panel reviewing the decision stated that the full detail of the Situation Reports could not be provided as it contained information that when combined with other knowledge, could lead to identifying individuals. However the panel approved the release of the ‘summary of incidents’ sections in each report. The reports do not cover weekends or bank holidays and The Detail received 18 daily reports for August 2013. Large sections of the reports remain redacted. However the summary sections contain details such as the number of new SPAR booklets opened, the number of alarms and emergency unlocks, as well as the number of dirty protests recorded. The figures show that an average of three dirty protests per day recorded at Maghaberry prison throughout August 2013. A Criminal Justice Inspectorate (CJI) report on Maghaberry in March 2012 previously raised concerns about the health and safety implications for staff and prisoners during a dirty protest. In the report inspectors claimed that during the protest the resulting conditions posed a threat to the health of prisoners and staff but that hygiene arrangements were being carefully managed and nobody had suffered any ill effects at the time of writing. The republican-led dirty protest was organised by a group of 22 inmates aligned to a group calling itself the IRA. The group ended its protest in November 2012. Commenting on the latest prison service dirty protest figures for Maghaberry a spokesperson for NIPS said: “Prisoners engaging in such form of protest would normally be located in the Care and Supervision Unit for both their safety and that of others”. 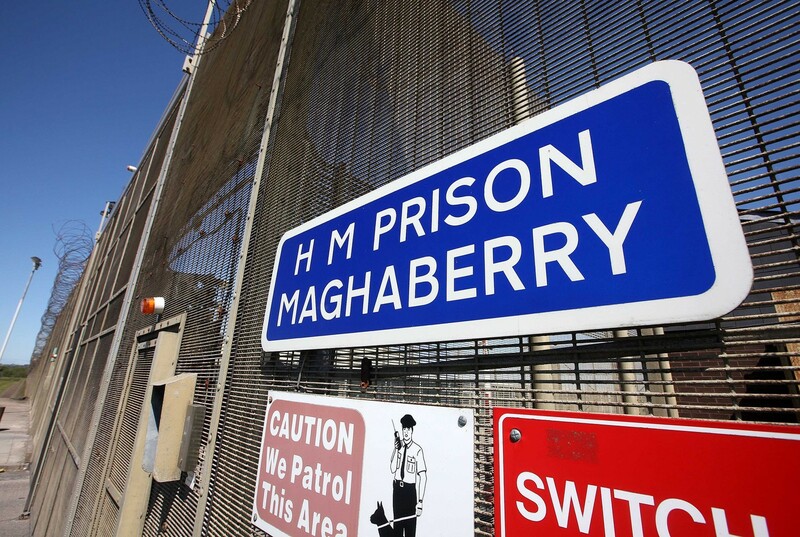 The CSU regime at Maghaberry has previously been criticised by the Northern Ireland Human Rights Commission as a poor environment for prisoners remaining segregated for long periods. Concerns have also been raised that segregation may exacerbate existing psychological conditions. The Situation Reports obtained by The Detail also show that during August there were 62 new SPAR booklets opened in Maghaberry, as well as 26 alarms and two emergency unlocks. In CJI’s inspection of Maghaberry last March inspectors also found that near-fatal incidents were not adequately investigated or acted upon by Maghaberry prison. The report stated that while there was good knowledge concerning prisoners at risk of self-harm, Supporting Prisoner at Risk (SPAR) procedures were “in need of improvement” and observation cells were used too frequently. At the time of the report an average of 46 SPAR documents opened per month. Inspectors noted that, given the population, this did not appear “excessive”, but they highlighted that limited routine investigations of serious self-harm incidents were carried out. For more information on the data contained in the Situation Reports concerning Hydebank Wood’s prisons please click here.